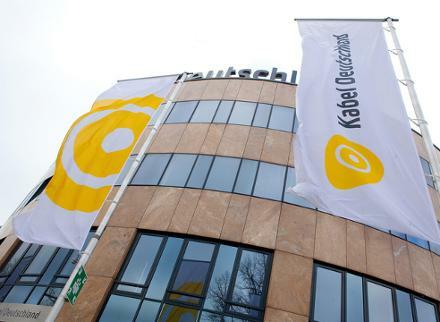 Vodafone has announced that it will proceed with its planned €7.7bn takeover of Kabel Deutschland, Germany’s largest cable provider, after the terms it offered the company’s shareholders were accepted by a large majority. Vodafone’s offer to buy up shareholders’ stock at a price of €87-a-share received the backing of 75% of voters, the minimum percentage it needed to proceed with an all-out takeover. The company added that it will allow shareholders who chose not to accept Vodafone’s offer until September 30 to change their minds. The move marks a significant pivot towards Europe for Vodafone, which earlier this month agreed to sell its stake in US phone company Verizon for $130m. It will allow the company to join the likes of Deutsche Telekom and Unitymedia – owned by Liberty Global, which also run the UPC brand in Ireland – in offering “Quadplay” services to consumers, bundles which allow customers to draw their internet, television, landline and mobile services from one provider. The announcement caps a long week for Vodafone in Germany. Earlier this week three hedge funds declared that they intend to sue the company to get a better price for their shares, and it conceded that a hacker had made off with the names, addresses and bank account details of around two million of its German customers. Among the hedge funds that intend to sue Vodafone is Elliot Management, Kabel’s largest shareholder and a significant backer of the company’s approach early on. The deal is still subject to the approval of EU regulators. The European Commission expected to undertake a review in the coming weeks.